Commander S.D. Dealey guided his eminently successful fighting ship, HARDER, out of the harbor at Fremantle, Australia on 5 August 1944 to begin the sixth war patrol of that vessel. In company with HAKE, HARDER conducted training exercises enroute to Darwin. These two submarines topped off with fuel at Darwin, and on 13 August, together with HADDO, left for their assigned area west of Luzon, P. I. [Editor's note: Although HARDER and HAKE both got underway from Fremantle on 5 August and conducted exercises together through 8 August, HAKE parted company with HARDER at 2130 on 8 August. (HAKE patrol report) HAKE topped off with fuel at Darwin (HAKE patrol report), but HARDER apparently fueled at Exmouth Gulf, as did HADDO. (Lockwood, Through Hell and Deep Water, p. 284) HAKE got underway from Darwin on 13 August, but HADDO left Exmouth Gulf enroute Lombok on 11 August. (HAKE and HADDO patrol reports)] They were to patrol as a coordinated attack or wolfpack group, with CDR Dealey in charge. 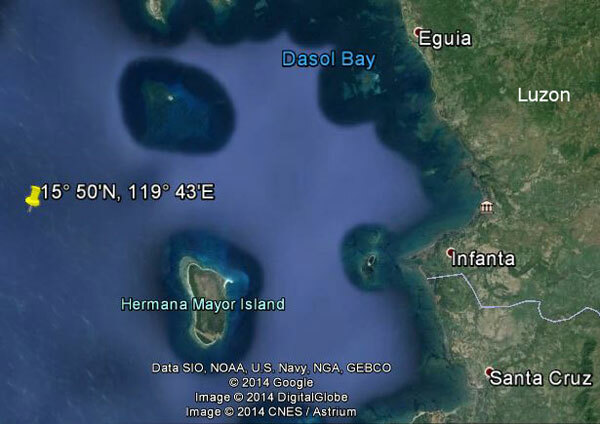 On the following day, HADDO and HARDER conducted a combined attack on three small vessels off Bataan. All three were sunk; these were the coast defense vessels MATSUWA, SADO and HIBURI. HADDO and HARDER each received credit for sinking one vessel, and shared credit for the third sinking. The morning of 23 August HADDO contacted a tanker escorted by a destroyer, and blew the bow off the destroyer in a down the throat shot. She fired her last torpedo in this attack, and in response to urgent calls for assistance, HAKE and HARDER rendezvoused with her. HADDO, being out of torpedoes, "received Sam's blessing" and left his wolfpack, heading south. HAKE and HARDER discussed plans for finishing off the damaged destroyer and then departed for their common objective off Caiman Point. At 0453 on the morning of 24 August HAKE dived not far from Caiman Point and about four miles off Hermana Mayor Island, west coast of Luzon, with HARDER in sight 4,500 yards south of her. HAKE heard echo ranging to the south and soon sighted two ships. At first they appeared to be a three stack light cruiser and a destroyer, but upon later inspection were identified as a three stack Thailand destroyer (the PHRA RUANG, of 1,035 tons) and a minesweeper of less than 1,000 tons. HAKE broke off the attack and headed north when the target zigged away apparently to enter Dasol Bay, while the minesweeper stayed outside. At 0647 upon coming to a northerly course, HARDER's periscope was seen dead ahead at about 600-700 yards. Sound also reported faint screws on this bearing, so HAKE turned away toward the south. At this point the minesweeper gave three strong pings, whereupon HAKE saw her 2,000 yards away swinging toward the two submarines. HAKE figured he had sound contact and went deep. The enemy kept pinging, but seemed to have the two targets located and to be undecided what to do about it. At 0728, HAKE heard 15 rapid depth charges, none close. Two sets of screws were heard and each continued pinging on either quarter of HAKE as she evaded to the westward. By 0955 all was quiet. HARDER never was beard from again. Her periscope was last sighted at 15° 43'N, 119° 43'E. Japanese records reveal that an anti-submarine attack was made on the same day at 15° 50'N, 119° 43'E with 440 pound depth charges. The enemy said, "much oil, wood chips and cork floated in the neighborhood". Presumably HARDER perished in this depth charge attack. 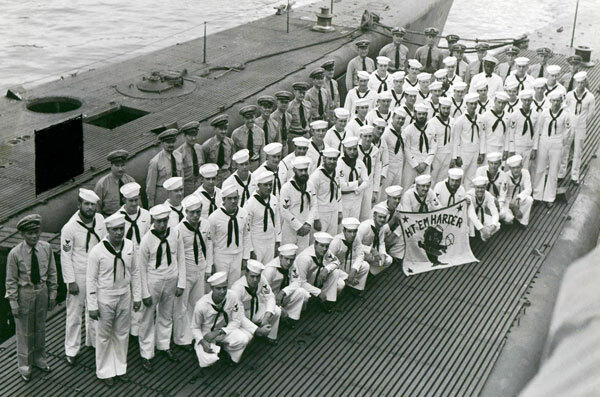 Her first patrol was conducted in Empire waters, starting in June 1943. She sank three freighters, and damaged seriously a freighter-transport and another freighter, a transport and a tanker. She went to the Empire again for her second patrol, and sank three freighters and a tanker, while she damaged a trawler. HARDER was part of a wolfpack, of which PARGO and SNOOK were the other members, on her third patrol. In the open sea north of the Marianas, she sank a freighter, three freighter-transports and an armed trawler. HARDER's fourth patrol was in the Carolines. On 13 April 1944 she sank the Japanese destroyer IKAZUCHI. She also sank a freighter and damaged a second destroyer. HARDER departed for her fifth patrol in the Celebes Sea on 26 May 1944. She picked up coast watchers from northeastern Borneo, and gave a very valuable contact report on a major task force leaving Tawi Tawi anchorage, Sulu Archipelago, in preparation to engaging in the first Battle of the Philippine Sea. She sank the destroyer MINATSUKI on 6 June 1944. On the next day the destroyer HAYANAMI fell victim to HARDER's torpedoes, and sank tail first. The destroyer TANIKAZE was HARDER's next victim, sunk on 9 June. On 10 June she damaged another destroyer. By the time HARDER returned from this patrol, she had earned the reputation of being the Submarine Force's most terrible opponent of destroyers. 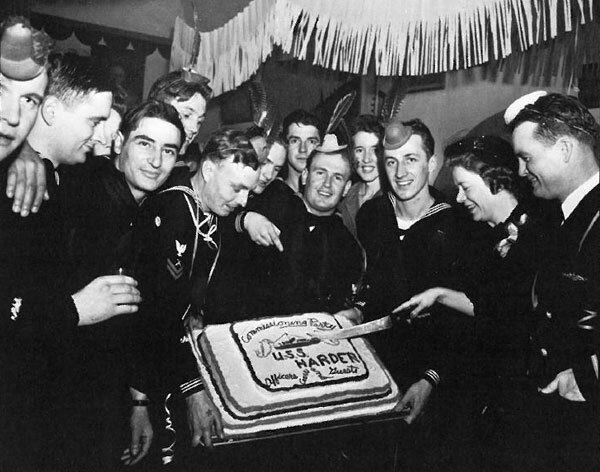 See also Ed Howard's Final Patrol page on USS Harder (external link).